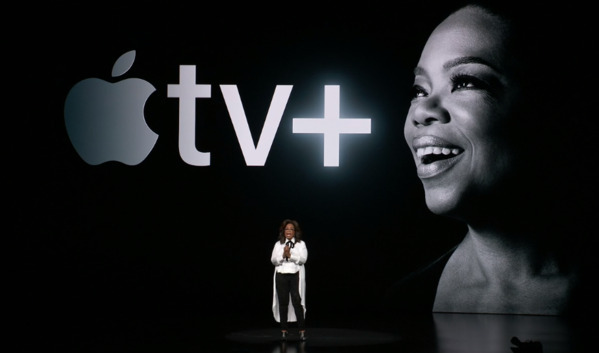 Topping off its Apple TV+ debut on Monday, Apple brought to stage billionaire media mogul Oprah Winfrey, who outlined some of her projects for the service — led by a unique live book club. The book club will feature talks with authors streamed through Apple's updated TV app, Winfrey said. People will presumably be able to watch book club sessions on-demand as well. "We need to be open in order to contribute and harness our hopes and dreams to hear our divisions," she said during the press event. "That's why I have joined forces with Apple. Because they're the company that has reimagined how we communicate. I joined in order to serve this moment, because the Apple platform allows me to do what I do in a whole new way. Because they are in a billion pockets, y'all, a billion pockets. So I am honored and proud to be a part of this new platform to connect with people around the world to create positive change." Winfrey further mentioned two upcoming documentaries: one, "Toxic Labor," will be about workplace harassment, while a second will be a mini-series covering mental health. 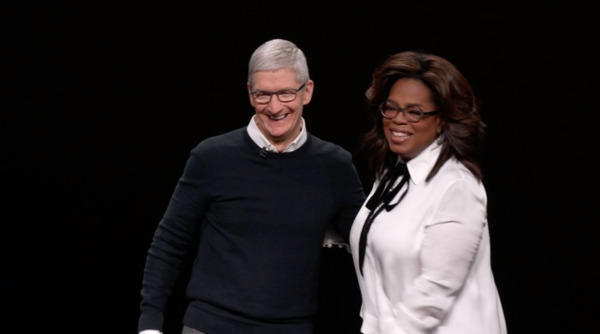 Her speech was concluded by an emotional CEO Tim Cook, who hugged her and cried a little. "Thank you Oprah, I will never forget this," he commented. Apple TV+ is launching sometime this fall. Many details are still unknown, such as pricing, but most of its original content will consistent of scripted shows and movies rather than real-life subjects. It will also be accessible on more than just Apple devices, coming to TVs by Samsung, Vizio, LG, and Sony, as well as Roku and Amazon Fire TV streamers.